It’s beyond doubt that eCommerce will play a significant role in the marketing mix of companies across industries and success in this channel will influence the overall performance. 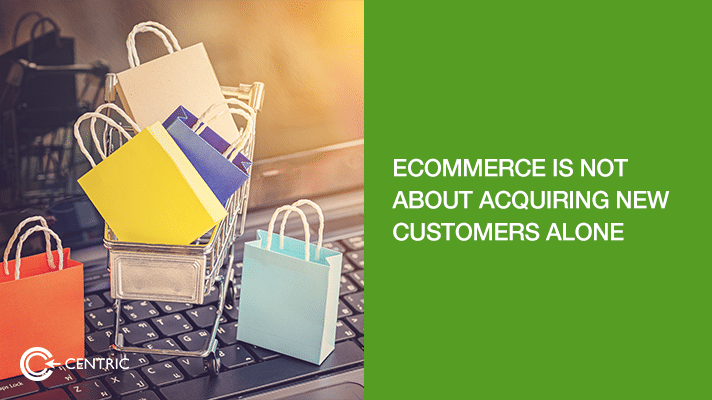 Therefore, it’s crucial to understand exactly what constitutes success in eCommerce. Crealytics, a company focused on eCommerce performance cites Customer Lifetime Value as the single most important metric to measure. Many companies are still focused on acquisition metrics that seldom differentiates between profitable vs. non-profitable customers. But by developing a strategy around Customer Lifetime Value, efforts are focused on optimising performance by profitable customers. At Centric, we have been focusing on this metric and in the case of one of our clients that targets new Mothers, we have developed tactics to follow them through different stages. We have tailored messages around their specific needs from the time they deliver to after 3months, 6months and 9months. We track the performance of these messages and have been able to focus on the more profitable customers. This has resulted in our client registering higher returns year-on-year.